Join us for an evening of exploration and education about the VR/AR ecosystem and how organizations are tapping into these frontier technologies to encourage and inspire technologists to bring virtual reality and augmented reality into reality. 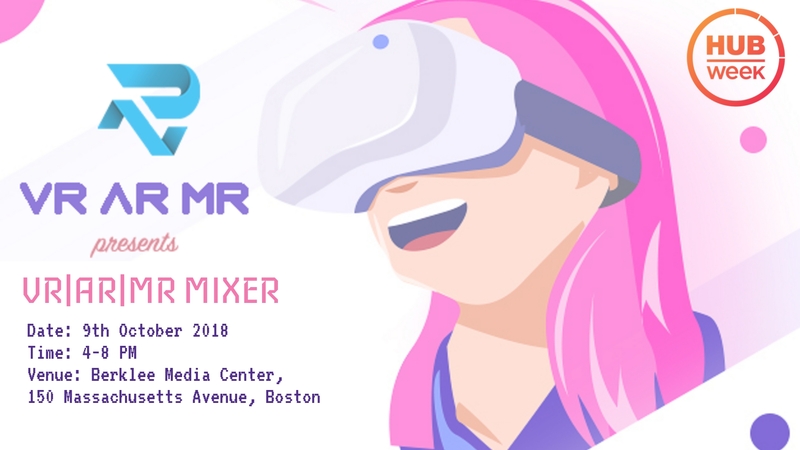 VR|AR|MR Mixer is a gathering of artist, technologist, innovators and entrepreneur during HUBweek to accelerate conversation and collaboration amongst the industry leaders. During the event we are having industry-focused small talks, big talks and panel discussions and also having an exciting VR/AR demo showcase featuring VR/AR startups.